It's a new week, with a new snow forecast for Long Island! 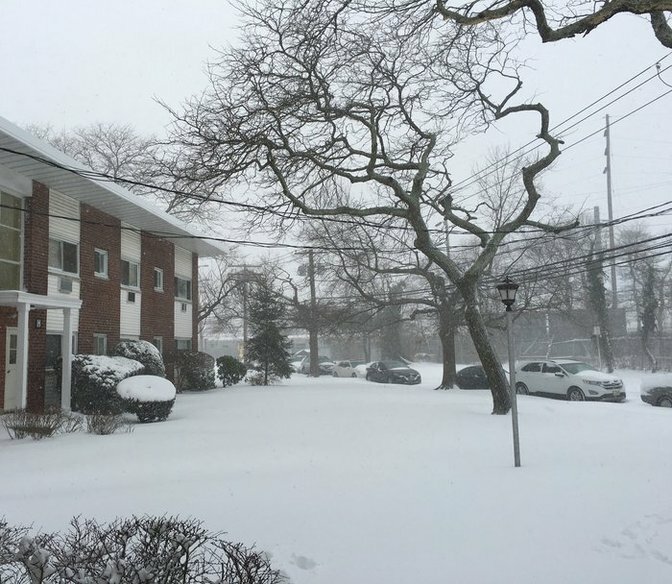 Due to a Winter Storm Warning for Suffolk County and a Winter Weather Advisory for Nassau County reported by The National Weather Service, many Long Island students will be enjoying a snowday at home today, or a delayed start, instead of taking their regular bus into school. For some that means a fun-filled day of sledding and making snow angels, and for others that means enjoying a nice, relaxing day in the warmth and comfort of home - perhaps curled up with a good book! No matter what it is you choose to do with your day off from school, remember to stay safe and bundle up tight. Note: This Archive Page is still being updated as closures for February 8th are announced. For the most up-to-date school closures for February 8th, please visit our School Closures Page. As schools reported to us on Monday, February 8th, 2016. Not an official state record.